IT'S ALL about black economic empowerment for Community Investment Holdings (CIH), a company which this week celebrated its 20th anniversary at an event at which President Jacob Zuma stopped by to pay his respects, much to the delight of co-founder Dr Anna Mokgokong. Mokgokong, executive chairwoman and Joe Madungandaba, its chief executive, founded the company in 1995 in Pretoria with the goal of becoming one of the country's pre-eminent BEE sustainable businesses, and to make economic and social contributions to the country. 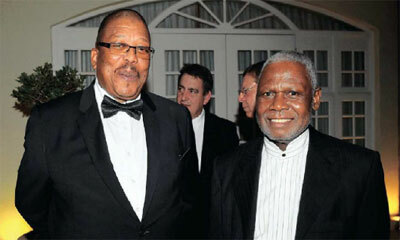 Mokgokong was born in Soweto, raised in Swaziland and qualified as a doctor. She found her passion for business and has received numerous accolades here and abroad for her entrepreneurial skill. She's a leading light for women with her keen interest in their empowerment, holds key positions and sits on various boards. Madungandaba, an accountant, was born and raised in Atteridgeville and has a keen eye for great business opportunities. 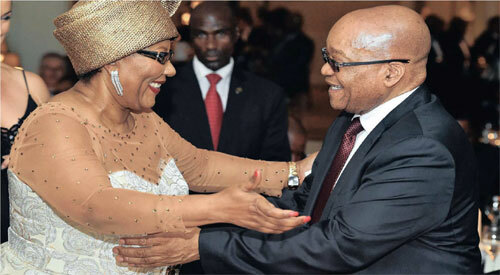 Five years after its formation, CIH was officially launched by Zuma - then the deputy president. It has grown exponentially to become one of the most successful companies of its kind with interests in health care, technology and telecommunications, logistics, mining and energy No wonder then that the event to celebrate was held at Summer Place and attracted not only Zuma. 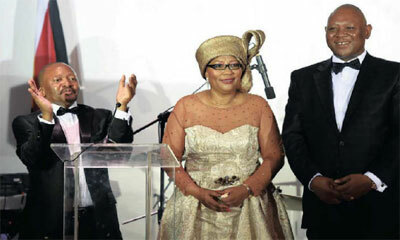 It was addressed by Gauteng Premier David Makhura and attended by politicians and top business people. Mokgokong said that on the hard road from apartheid to democracy were opportunities for entrepreneurship, but they were not for the "fainthearted, the meek or the weak". She spoke of the dedication and resilience which was required for success, and joked how she and Madungandaba had aged and greyed, accumulated air miles but lost health points to become important players in the mainstream economy. To contribute to economic upliftment of the community; providing opportunities for skills development and jobs; to be a role model for youth, to strive for deregulation which hinders business, and greater flexibility. She said black industrialists must instil and implement transformation agendas, and drive patriotism and a sense of belonging in South Africa. - Staff Reporter.